Access to real time information of the detected RFID tags and events in a location, from anywhere at any time. Easy and efficient remote management of our RFID systems. Remote management of content and user interface of out interactive retail systems. Integrated pricing, including software application, data hosting and technical support. Reduction of spending on technical infrastructure. Reduction of operational and maintenance costs. All the detected RFID tags are recorded and stored in AdvanCloud in real time, and can be accessed from anywhere and at any time. All the interaction events between the shopper and AdvanLook/AdvanFitting are also recorded and stored in AdvanCloud. All the data stored in AdvanCloud can be easily exported or queried, in order to generatereports, apply business intelligence techniques, etc. 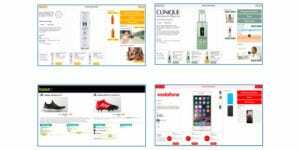 New content (images, videos, product descriptions, cross-selling rules, etc.) are easily uploaded to AdvanCloud. 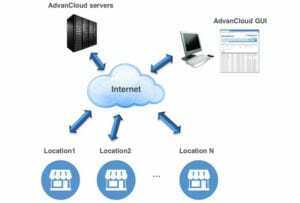 AdvanCloud automatically downloads the content to all AdvanLook/AdvanFitting units installed at retail stores. Content import and data export can be executed remotely by means of a web services APIthat makes the integration with other systems very easy. AdvanCloud also controls and manages the tablets/PDAs that store staff use to receive requests from shoppers and to answer these requests. AdvanCloud user interface allows shoppers to interact with social media (Facebook, Twitter, Google+, etc.) within the store.